With awards season looming and fingers crossed nationwide, the staff in Newpark Hotel are on a high following recent shortlist announcements. Newpark Hotel Kilkenny have been shortlisted in two categories this year in the Irish Hotel Awards. The hotel has reached the final in the Business and Conference Hotel of the Year and Wedding Hotel of the Year categories. The Irish Hotel Awards celebrate the commitment and dedication of the hospitality industry in Ireland. It is an all-Ireland awards process with an extensive examination of the premises including an anonymous researcher visit. Aidan Kelly from Newparks Escape Health Club and Spa has been announced as a finalist in the Nutramino Health and Fitness Awards. Aidan has been recognised in the Fitness Instructor of the year category. The Nutramino Health & Fitness Awards recognise outstanding contributions and innovation from Ireland’s top health & fitness professionals, facilities and community engagement initiatives. For this years Yulefest the Newpark Hotel paired up with Lamber De Bie Flowers to host an event showcasing how to craft the perfect seasonal decorations as well as create a beautiful dish with seaonal ingredients. This event was all in conjunction with Pieta House, the Flynn Hotel's chosen charity partner for 2018. With over 100 guests turning up to the event to witness the Newpark's very own Nicky Glendon & Lamber De Bie design wonderful dishes and decorations alike it was a very positive night all round. 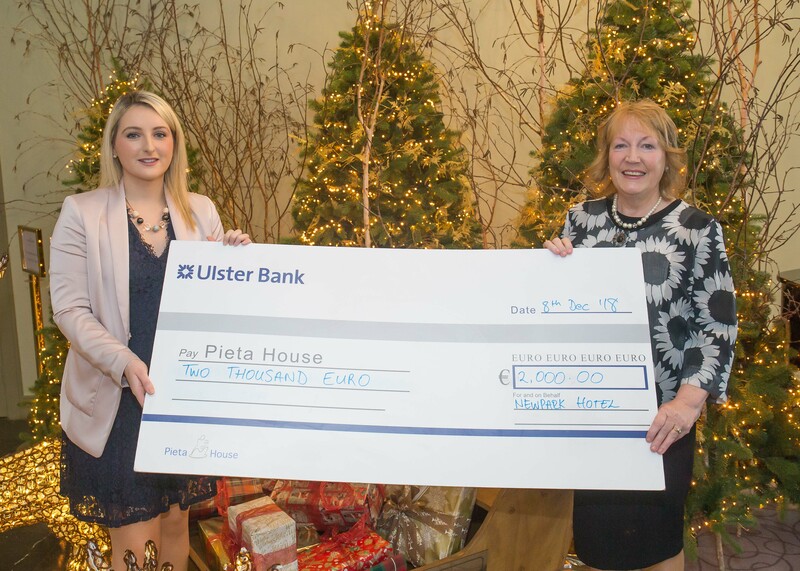 We are delighted to announce that €2,000 was raised on behalf of Pieta House. Many people turned up to the Newpark Hotel on the 25th of October for our exclusive RSVP event, hosted by none other than former Miss World Rosanna Davidson. The event saw former Miss World, Rosanna Davison, along with The Honest Project’s Frances Walsh, share tips and advice with guests on healthier food choices and different ways to boost your wellbeing; with all proceeds raised going to Newpark Hotel’s charity partner Pieta House. Guests were treated to an array of different food choices as they were shown which foods were healthy, the best ingredients to use and the correct way to cook them. Newpark Hotel, Kilkenny has been named as ‘Ireland’s Family Friendly’ at the 2018 Gold Medal Awards, in association with Hotel & Catering Review. Now in their 30th year, the Gold Medal Awards are recognised as the leading independent awards programme for the Irish hospitality industry, recognising and celebrating the outstanding achievements of the hotel and catering sector throughout the country over the past 12 months. Showing that Ireland’s reputation for famous hospitality stretches across the country, there was a strong regional spread amongst the winners, and Newpark Hotel is proud to fly the flag in Co. Kilkenny. The 4-star family run establishment takes great pride in providing the perfect destination for family getaways, and it’s not hard to see why it was top choice amongst the judges. Resting on 40 acres of lush, green parkland, the estate is full of activities and amenities to keep children of all ages entertained including a wildlife farm featuring rabbits, peacocks, emus, alpacas, llamas, ponies, donkeys and much more; a dedicated go-karting track; the Crazy Cats Kids Club; Adventure Playground with zip line; the magical Newpark Fairy Trail; and themed events at special times of the year like Easter, Halloween and Christmas; as well as dedicated family rooms for little ones to rest up after all the fun they’ve had! The awards applaud hotels like Newpark Hotel which achieve the highest standard of service in the industry, and a critical feature of the Gold Medal Awards is the credibility of the judging process. Every entrant in every category was benchmarked against a strict set of criteria, and the shortlisted were blind site inspected by the judging panel which is comprised of respected industry experts from across the hospitality sectors. Once the post site inspection scores were compiled, the judges had a final meeting to decide finalists and ultimately the winners in each category. 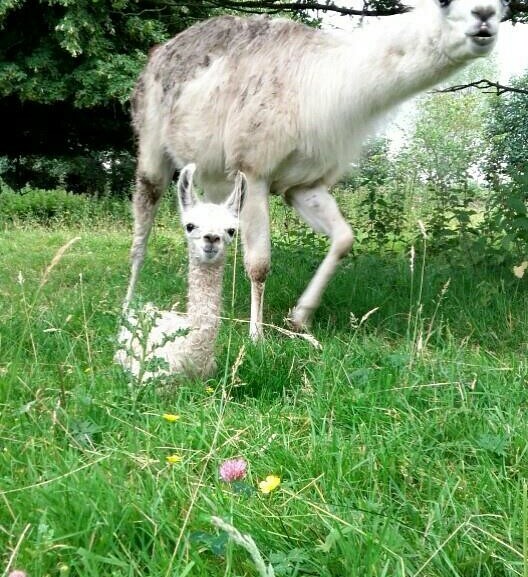 The Newpark Hotel was recently delighted to announce the arrival of a brand new female baby llama! Born in our very own farm on the 20th July we were keen to decide on a name for this beautiful animal. It was decided instead to let the public choose the name and from the beginning there was a lot of interest. With 100's of entries from all over the country on Facebook, Instagram and Twitter it was finally decided by our team that Lindsey Lonergan's suggestion of Llama Del Rey was the perfect name! Llama Del Rey is available to view at the Newpark Farm, as well as a number of other animals!